The politicians devoted their Sunday to the farmers of the country, making sundry promises and decrying the ones made by their political rivals as empty slogans. 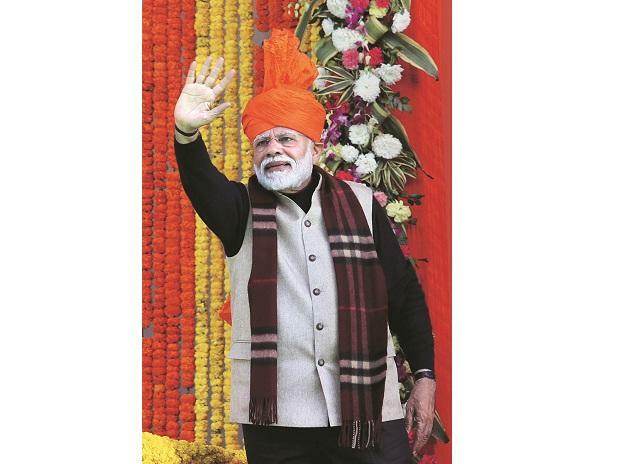 In New Delhi, the Bharatiya Janata Party (BJP) launched a month-long manifesto drafting exercise for the 2019 Lok Sabha polls, during which it would seek suggestions from 100 million households across the country on the kind of ‘New India’ they would wish the next government, led by Prime Minister Narendra Modi, to build. The Congress had launched a similar exercise last month, where it asked people to email their suggestions for the party’s manifesto. While Home Minister Rajnath Singh heads the BJP effort, former finance minister P Chidambaram leads the Congress’ endeavour. Launching the effort, BJP chief Amit Shah said the PM-KISAN scheme, announced in the interim Budget on Friday to ensure income support of Rs 6,000 annually to small and marginal farmers was ‘well thought out’ and the Congress was spreading misinformation on the issue. In an interview to PTI, union minister Arun Jaitley, who is in New York for medical treatment, said respective state governments will top up the income support the Centre has announced in the interim budget. After the Budget, Congress president Rahul Gandhi had said the Modi government was fooling farmers by announced a support which comes to a meagre Rs 17 per day for a farming family. Addressing a Congress rally in Patna on Sunday, Gandhi said his party has already announced ‘minimum income guarantee’ for poor if it comes to power, and also loan waiver of all farmers. Addressing a public meeting in Jammu, the PM said the Congress used the promise of loan waiver only to win elections. He alleged the Congress-led UPA promised a loan waiver of Rs 6 trillion in 2008-09 but gave relief of Rs 52,000 crore. “CAG report found that about 25-30 lakh people who got loan waiver were not even eligible for it,” Modi said at a rally at Vijaypur. The PM ridiculed the Congress government in Madhya Pradesh for disbursing cheques of Rs 13 as loan waiver. The PM said PM-KISAN scheme would deposit Rs 7.5 trillion the bank accounts of farmers in the next 10-years. The BJP's Uttar Pradesh government has also promised loan waiver in the state, and faced criticism in 2017 for distributing cheques that were a pittance. The Left parties held a massive rally in Kolkata to highlight the “excesses” of the Modi government at the Centre, including its failure to deal with farm distress, and Mamata Banerjee-led Trinamool Congress government in West Bengal. At the launch of the manifesto drafting exercise in New Delhi, Shah said the Congress model of writing off farm debts was faulty as it happened rarely, while income support the Modi government has announced will provide continuous support to farmers. The BJP chief said as much as 60 per cent farmers do not take loans from banks. He said the scheme would cushion those with small landholdings like half acre to two acres to spend the money farm inputs, like buying seeds and paying for irrigation. Home Minister Singh, the agricultural minister during the Atal Bihari Vajpayee government at the Centre, said the party has selected 12 priority areas for its manifesto, and a plan to address agrarian issues would be the topmost priority. Shah said the Congress-led UPA spent Rs 57,000 crore in the farm loan waiver in 2008, while the Modi government has allocated Rs 75,000 crore for each year for its income support scheme. Answering a question whether the leaked National Sample Survey Organisation (NSSO) data that 2017-18 saw unemployment rate at an all-time high was evidence of the Modi government's failure in generating jobs, one of BJP's key 2014-election campaign plank, Shah said the government policies, including Mudra loan scheme, have spurred self-employment. Shah said improved road construction created 25 million jobs, while increase in laying of new railway lines and other works led to 22 million jobs. He said Mudra loans helped millions of self-employed. He also suggested, which is true, that the BJP's 2014 manifesto did not actually promise 20 million jobs a year. The manifesto had promised better policies that could generate "millions" of jobs in manufacturing, tourism and other sectors. The BJP chief indicated the Modi government was unlikely to push through its citizenship amendment bill in the Rajya Sabha during the ongoing budget session of Parliament. He said the BJP was consulting with other parties on the bill. Northeast has witnessed sustained protests after the Lok Sabha to pass the bill. On demands by Sangh Parivar for early construction of a Ram temple at the disputed site in Ayodhya, a commitment the BJP made in its 2014 manifesto, Shah asked the Congress and other parties not to put "obstacles" in the way. Later, responding to Shah's comments, Congress spokesperson Pawan Khera asked the BJP to "stop making a fool of people", and now that it has a government at the Centre and also in Uttar Pradesh, it should tell the people when it planned to construct a Ram temple. Shah said the party will not give tickets to those above 75-years. This would mean current members such as L K Advani, Murli Manohar Joshi, B C Khanduri, Bhagat Singh Koshyari, Shanta Kumar, Bansilal Mahto, hhattisgarh, Kalraj Mishra and Kariya Munda are unlikely to get party tickets to contest the Lok Sabha polls. Home Minister Singh said the BJP has identified 12 priority areas and appointed a convener to look after that for the purposes of drafting the manifesto. These areas include agriculture, youths, women, social justice, economy, infrastructure, education and skill development, national security, workers and cultural issues, including the construction of Ram temple. Shah said 30-years of coalition governments had shaken the people's faith in whether India's multi-party democracy would be able to install India as a front ranking country in the world, and the 2014 full majority government of Modi has accomplished that. He said the Modi government's hallmark has been to bring financial discipline and conforming to fiscal responsibility norms. Singh said Modi-led BJP's vision was to make India a $ 5 trillion economy in the coming years. The BJP would set up 7,500 suggestion boxes across the country, and 300 vehicles equipped with computer tablets to record the suggestions. People can also contribute their suggestions via other electronic means.